A change in the rulebook helped new RB Leipzig full-back Marcelo Saracchi's career take off, although without a strong work ethic, the versatile left-footer would probably only have known about the Bundesliga from the television. Set for another season with Danubio in his native Uruguay, Argentina's Football Association decided deep into the 2017 summer transfer window to permit their clubs to field a fifth foreigner in their league matches. River Plate promptly returned to a transfer target they had otherwise shelved, since they would not have been able to register him, and thus Saracchi's breakthrough was sanctioned. Both club and player benefitted as the then 19-year-old swiftly ousted the experienced Milton Casco from the River midfield to pin down a regular starting berth, debuting impressively in the Copa Libertadores within months of arriving in Argentina. His impact on the Argentinian game was predictable, however. Danubio had given him an elaborate education, starting from when he was 13 years old. Four seasons in the club's youth selections culminated in his promotion to the first team and debut at the age of 17. Although that substitute appearance lasted only five minutes before he was sacrificed when a teammate was dismissed, he was in the starting XI a week later and there was no going back. Used as a left full-back or on the left of a three-man midfield, Saracchi stood out so much he was called up to Argentina's U20s and played in the 2015 FIFA Under-20 World Cup in New Zealand, with players three years his senior. Given his precocity, he was able to represent his country at the same level two years later in South Korea, inspiring them to a fourth-place finish after they had won the South American edition ahead of Argentina, Venezuela, Bolivia and Peru to qualify. That, he adds, is a Uruguayan trait that has helped him get to where he is now, wearing Leipzig's number three shirt in the Bundesliga and UEFA Europa League. "I wasn't very good when I started playing at the age of five," Saracchi admits. "But I stuck at it and put in the effort to improve. The willingness to make sacrifices, put my foot down and work hard is one of the main reasons I became a footballer. "There are many young footballers in Uruguay who are prepared to put so much in and work so hard to make it to the top this way, and they see this as an opportunity. That's how doors suddenly open up and it gives you the hunger to make it to the top." 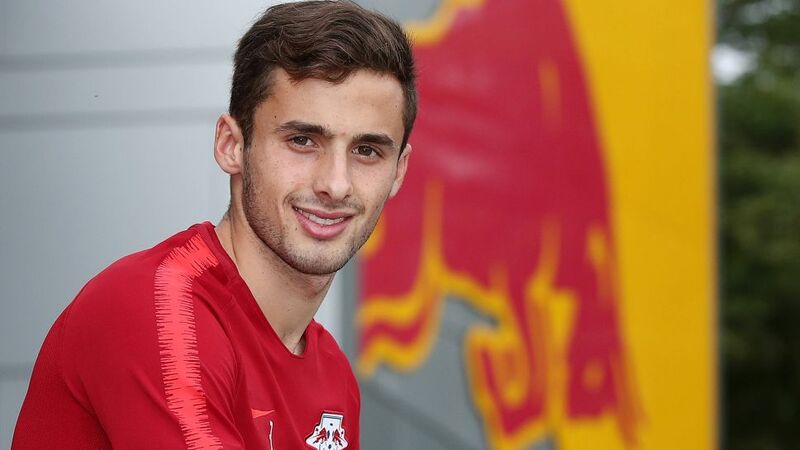 The doors to the Red Bull Arena opened for Saracchi in the summer of 2018, as his rise to the top continues in the Bundesliga. Click here for more RB Leipzig news and features!